For 2018 the Arch team have updated the KRGT-1 and added the 1S plus the Method 143 concept to their line-up. 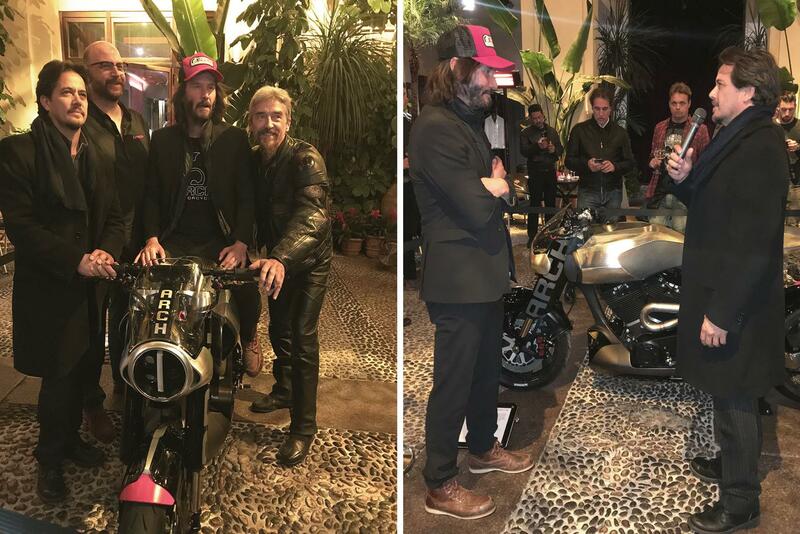 After veteran bike customiser Hollinger created a custom bike for Reeves, the Hollywood actor was so impressed he suggested they start a bike business together. 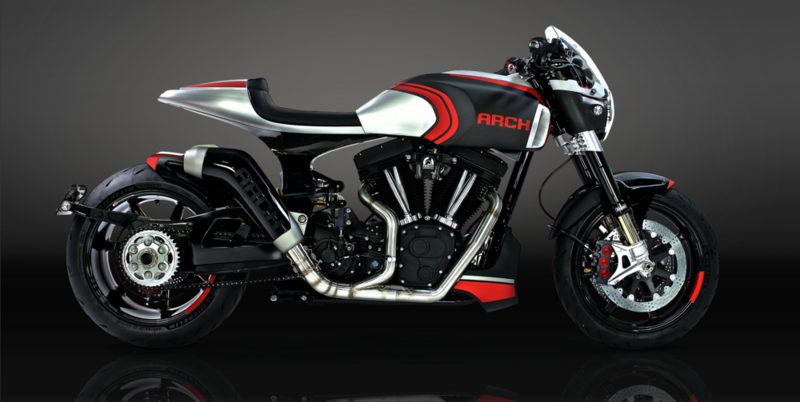 In 2015 they released their first bike, the Arch KRGT-1 – a custom performance orientated cruiser. 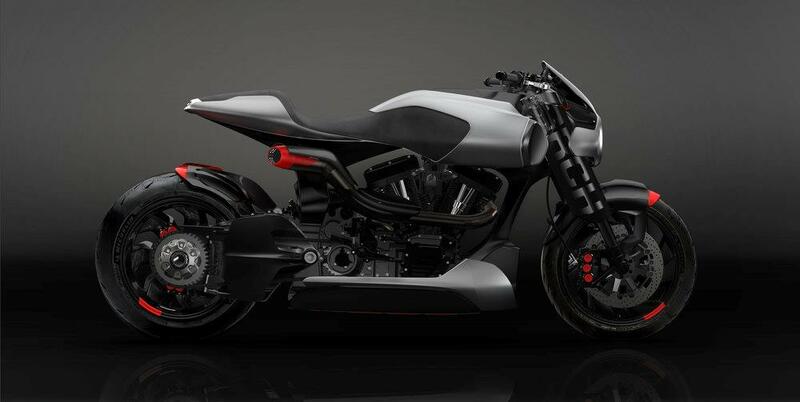 Last year they agreed a deal with Suter to sell their bikes over here and for 2018 they’ve updated the KRGT-1. The new KRGT-1 is a refined version of the original bike, fitted with a 2032cc engine that’s now Euro 4 compliant. As well as the regulatory changes, Arch also worked with Ohlins for the FGRT fork and proprietary rear shock. As well as updating the KRGT-1 they also released the KRGT-1S, which has a single-sided swingarm that is one of the fruits of their partnership with Suter. The 1S also have a machined aluminium and carbon-fibre fuel tank with integrated filler. The start of the show is really the Method 143 with its 2343cc engine and carbon fibre mono-cell chassis. The Method is as much a work of art as it is a motorcycle, with its Ohlins FGRT fork and carbon fibre air foil, along with the custom BST carbon turbine wheels. It even uses a mobile phone for the dash. 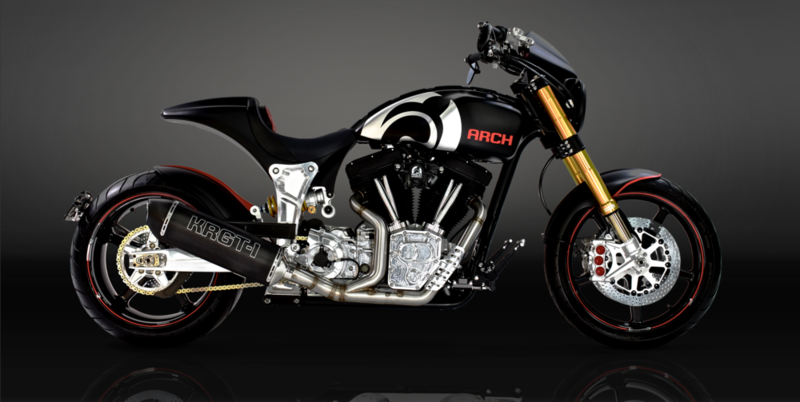 Despite being a concept, Arch will manufacture and sell 23 Methods, which will go on sale with the KRGT-1 and 1S next year. “Our partnership started with a custom motorcycle that you can ride and that turned into a performance cruiser. It’s about the pleasure of riding. For me when I ride an Arch, I’ve never ridden a motorcycle like that.